Life is all about challenging yourself to do something new. Many of us are thrill seekers & to quench the thirst for thrill, we will go to any extreme. Sometimes activities like skydiving or surfing are not enough. You will be thrilled just by being at these following places. Are you ready to push yourself to a new extreme? We all know this. Mount Everest is the tallest peak in the world. Thousands of people have climbed to the top. With advanced gadgets, this peak is still one of the most formiddable peak in the world. Apart from having a good physical & mental health, it requires a good bank balance as well. Once you are the top, you are 8,848 m or 29,029 feet above the sea level. Nothing beats that feeling. If you don’t like hiking much, you can consider going down. 11,034 m or 36,201 feet to be precise. Challenger Deep at Mariana Trench is this deep. If you put Mount Everest upside down in the Mariana Trench (Don’t try that, okay? ), you will still have to go 2.25km deeper from the peak. 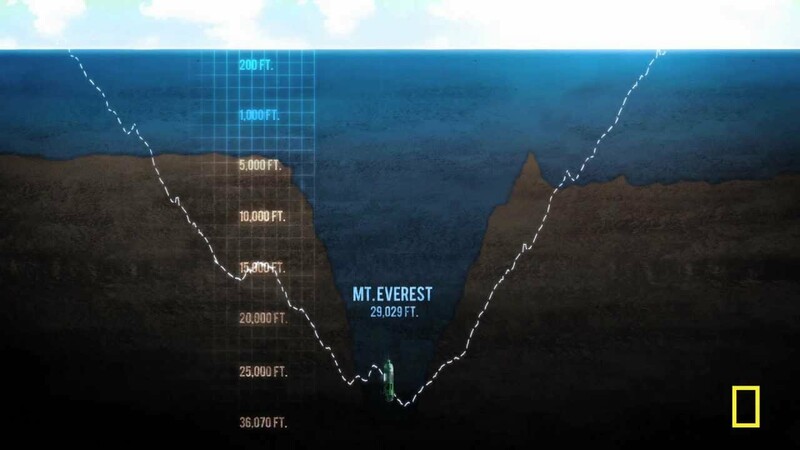 Challenger Deep is more exciting than Mount Everest because only 3 people have been to the bottom till now. One of them is James Cameron. People who have been to Ladakh might say that they have been to world’s highest motorable road (Khardung La). I am one of them, but this is about something else. Ojos del Salado is on the Argentina-Chile border. It’s the highest volcano in the world. There are no roads to the top YET in 2007, Gonzalo Bravo G. and Eduardo Canales Moya reached a record-breaking 21,942 feet on the mountain. If you are a bike person, Gianfranco Bianchi reached 21,233 feet on his Suzuki RMZ 450 in 2015. Imagine yourself on an uninhabited island. Known as the most remote island in the world. Sounds exciting? Well, Bouvet Island is located in the South Atlantic Ocean. If you want to see humans, you will have to travel 2,260 km to Tristan da Cunha or 2,580 to South Africa. Also, the nearest land (apart from the island) is located 1,600 km away in the Antarctica. If you are stuck here, it is your chance to become THE Robinson Crusoe. I agree, most of us don’t want to hike, or go underwater to see scary creatures, or go offroading. Some of us are normal people & we want to take a flight to something extreme. Here you go then – Visit Easter Island’s Mataveri International Airport. The nearest international airport from this airport is in French Polynesia (2,603 km) & the nearest national airport is in Santiago, Chile (3,759 km). It will require more money & less courage (unlike previous 4 locations). Do not expect such roads. Or weather. Or car. ROAD TRIP! Who doesn’t love road trips? Mumbai to Goa? Delhi to Shimla? Kanyakumari to Leh? We all have taken road trips at some point in life. We have also read stories about people who have taken road trips from India to Europe etc. But you know the longest continuous road trip? Keeping other dangers aside, it starts from the small Liberian town called Greenville & ends near the Chinese town of Wenzhou. Okay I get it. Some of you are more adventurous & road trip sounds not so extreme. Worry not, my friend. 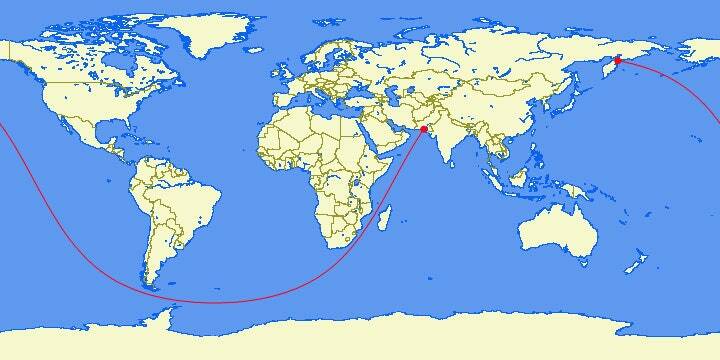 I present the longest continuous sea trip from Karachi, Pakistan to Kamchatka peninsula, Russia. You will be able to travel 32,040 km without hitting a land even once. The land distance between Karachi to Kamchatka is ~8,000 km but who cares about that when you can travel 4 times of it. So where are you going in 2016? Breaking any record? Tell me in the comments!